The operating theatre is a dynamic, complicated area, where the safety of patients undergoing surgery and nursing care of high quality are issues of great priority. The rapid development in technology, medicine and nursing, has led to new increased needs in the management of the operating theatre. The smooth running of the operating theatre is influenced by the knowledge and behaviours of medical staff overwhom nurse managers have not complete control due to a variety of reasons such as tight schedule, night shift, e.t.c [1-6]. Practice guidelines are necessary written policies responsible for maintaining order and facilitating the smooth running of the operating theatre environment. The successful application of concrete organisational frames and practice guidelines reflects the insitutions’global orientation and significantly promotes scientific collaboration and shared responsibility [1-6]. Collaboration between operating theatre and other departments of hospital, is achieved by permanent committees aiming not only at the exchange of information and resolution of problems but also at the construction of guidelines and protocols. More in detail, as soon as, is detected a need concerning a process that takes part in the operating theatre, the responsible committee composes draft guidelines, which are tested, evaluated and put into practise after having been approved by the National Organization of Standardization [7,8]. These guidelines constitute the source that provide operating theatre nurses information, in order to manage their daily tasks. All this process supports the general goal of national models [9,10]. In the USA, the standardisation is achieved by organisms such as the AORN (American Association of Operating Room Nurses). The AORN detects the current needs in the operating theatres through committees and afterwards creates tools in order to face them. Such are the Nursing Practice Standards, Hospital Policy Manual, Safety Plan Manual, Disaster Plan Manual, Infection Control Manual, Operating Room Policy Manual, Operating Room Procedure Manual, Orientation Manual, Instrument Book, Surgeon's Preference Cards, and Directories . In Greece, there aren’t any standardised sources on the processes, the techniques and the policies in the operating theatre. Occasionally, in some operating theatres is developed a form of “standardisation” in the above domains. Although, this effort is appreciable, it still needs improvement . The aim of the present study was to a) explore the existence of practice guidelines in Greek operating theatres b) to derect problems at their application and c) to evaluate opinions of Nursing Administration regaring them. The present descriptive study was carried out by the use of self-reported questionnaires, which was comprised of closed questions, in form “yes – no” and two questions of five point evaluation scale, relevant to the contribution of practice guidelines in the improvment of nursing care quality in operating theatres by their systematic application. Afterwards, it was given to three independent evaluators who made all the necessary changes. The questionnaire was finally modified after the pilot study (15 questionnaires) was carried out. 197 questionnaires were sent to the hospitals of National Health System (NHS), to Military Hospitals, as well as to Private Clinics and Maternity clinics of prefecture Attica, which were registered in the web page of Health Ministry and Social Solidarity, available at: www.mohaw.gr. A letter recording the aim of the study was attached to each questionnaire. The directors of nursing services, the head nurses of operating theatres and persons in charge in operating theatres, were asked to complete the questionnaire. The Psychiatric Hospitals and the Health Centres were not included in the sample study because they do not include operating theatre. Also, in this study were not included the Private and maternity clinics, except Attica (sample of facility). Private clinics and the Maternity clinics of prefecture Attica were included in the sample study because they are big hospitals that have operating theatre and it was more possible to complete the questionnaire. For the statistical analysis of data was used the statistical program SPSS 10 and descriptive methodology was applied for the statistical process. The 46 (93,9%) were General hospitals and the 3 (6,1%) Special hospitals. Of these hospitals the 41 (36,6%) were General hospitals of NHS, 4 (30,7%) Militarily and 4 (5,5%) private General and Maternity clinics of prefecture of Attica. From the 13 military hospitals, answered only 4 (30,7%) which reported that they apply practice guidelines in their operating theatre. 15 hospitals (30,6%) reported that their practice guidelines are written, while 3 hospitals (6,1%) reported both written and unwritten practice guidelines. From the 15 (36,7%) hospitals that had written or both written and unwritten practice guidelines, only 7 hospitals (38,8%) sent a copy of these, as it had been asked to them. 15 hospitals (30,6%) reported that their practice guidelines are unwritten, while 10% of them, did not declare their existence. From the 197 hospitals of sample, 53 hospitals (26,9%), answered the questionnaire, of which 49 (24,8%) included operating theatre, whereas, 4 (2,03%) did not have operating theatre, so their answers were not included in the study. This small percentage of answers imposes significant restriction on the present study but since the inquiring field is considered important and unexplored, its investigation was judged to be necessary. (Table 1). From the 49 hospitals of sample that included operating theatre, only the 24 (49%) reported existence of practice guidelines in their operating theatre (Table 2).guidelines, a fact, that raises doubts not only about its successful application but also about the quality and the completeness of its content. Regarding the onset of their apply, 40,8% of hospitals having practice guidelines, (in them are included all that declared written practice guidelines as well as 2 hospitals that declared unwritten practice guidelines), reported that these were applied from 1981 up to today and the 85% of them reported, that their practice guidelines applied for first time afterwards 1983. Answers gave head-nurses of operating theatre (51,1%), directors of nursing services (32,7%) and nurses in charge in operating theatre (14,3%). Overall, the nursing administration considered the practice guidelines in the operating theatres to be absolutely necessary. Regardind apply of practice guidelines in clinical practice, 25 hospitals (51%) considered that the practice guidelines contribute significantly to the improvement of operating theatres, 10 (20,4%) of these, reported that practice guidelines contributed to the quality of nursing care, while the 15 (30,6%) maintain reserves. (Table 3). The hospitals which maintain reserves consider that insufficient managers (2%) or insufficient management of operating theatres (4,1%) are the main reasons that the practice guidelines are not helpful to the improvement of runnng the operating theatre. In terms of application of practise guidelines in clinical routine, only 9 hospitals (18,4%), reported that practice guidelines are applied by everybody, whereas, 17 hospitals (34,6%) faced problems at their application. Hospitals that face problems at the application (17 hospitals - 34,6%) reported as main causes: insufficient management (26,5%), insufficient education (8,2%), overworking (4,1%) and the bad collaboration, mainly with doctors (8,2%). (Table 4). In the 30,6% of the hospitals, practice guidelines were approved by the Administrative Council, in 26,5% by Scientific Council, in 20,4% by the operating theatre committee and in 10,2% by the Medical Director of Surgical sector. Wordwide, practice guidelines or written and unwtritten rules and protocols constitute a key element in providing safe nursing care. The majority of literature puts emphasis on the importance of appllication of practice guidelines in daily clinical routine. Furthermore, it is frequently cited that practice guidelines and standardisation not only promote nursing care of high quality but also significantly contribute to the management of operating theatre [1-6]. According to the results of the present study, only 49% of the sample studied reported existence of practice guidelines in their operating theatre, percentage that is considered to be small compared to the total number of Greek operating theatres. It is also amazing that 30,6% of them reported having written practice guidelines. Although, considerable advances were made in the last decade in understanding the worth of appllication practice guidelines in clinical practise, still, this topic in Greece has not been yet included in the primary goals of the hospitals. On the contrary, most hospitals in Europe, USA and other countries not only incorporate practice guidelines in their daily practise routine but also acknowledge their vital role in maintaining order and facilitating the smooth running of the operating theatre environment.6,8 Though, it is widely accepted that practice guidelines significantly contribute to the mamagement of the operating theatre still exists controversy over their necessity. Many researchers have suggested that the written or unwritten rules discourrage innovation or are held as a process of ensuring public confidence towards the lack of uncertainty they experience in the provision of care. On the contrary, other studies demonstrate that a status of mutual trust and not the regulatory frameworks indicate the key-factor for maintaining order in operating theatre [12-15]. As it was previously mentioned, in many hopsitals practice guidelines were unwritten. This fact raises a lot of questions about their scientific base, their reliability, their quality, the control at their apply and their validity. It is judged essential for these hospitals to manage their operating theatres through written practice guidelines following internationally recognized tendencies and models, so as to improve and ensure the quality of their services. In respect of the beliefs of the participants, optimistic is the fact that, 67,3% believed that both practice guidelines of operating theatres and standardised procedures are essential policies for the successfull managment of the operating theatre. More in detail, it is cited in the literature that standardisation is considered to be necessary for the successful application of concepts of nursing management, Total Quality Management, Benchmarking and Evidence Based Operating Room Nursing, in operating theatre’s management [16-22]. Regarding the contribution of practice guidelines to the improvement of operating theatre managment, 51% of the hospitals reported that the role of practice guidelines was helpfull. More in detail, the 46,7% of these hospitals reported that practice guidelines helped up to a satisfactory extend, while the 4,1% reported that they helped a little. This result leads us to suggest that the other factors may be related to the failure of the practice guidelines to be widely accepted or applied by the nursing staff and consepquently to be succesfully followed in daily clinical routine. According to the literature, there is a discrepancy on the way health professionals view guidelines and written policies. For example, some nurses view them mostly as a neccessity for their own sake, whereas other nurses experience them as a compulsory process that limits their scope . The results of this study showed that the main cause for the unsatisfactory application of practice guidelines was insufficient management. This finding is consistent with the literature where it is underpinned that insufficient management discourages the establishment of a safety culture and the complete implementation of rules in clinical practise. The need to systematise processes and construct the identity of the good manager-leader becomes apparent [10,12,23]. More in detail, the problems deriving from insufficient managment and mainly related to the failure of the unsuccessfull implementation of practice guidelines were the pointless visits out of operating theatre, the frivolity in using asepsis measures, the absence of capable head nurse of operating theatre, the overtime work, the admission of cases as emergency while they are not, the irresponsibility of certain staff or the unpunished staff who don’t adhere to the regulation and finally, the mercenary motives. All these factors show that insufficient managment is matter of great importance accountable for low quality of nursing care. An alternative explanation for the unsucessfull implementation of practise guidelines is the ineffective development of human resources in health field and particularly that of nurses. It is a commonly held view that the assessment of this problem requires an overall aproach [24-29]. In the present study it was also found that overworking and insufficient education are reported to be the most accountable causes for the failure of application of practice guidelines. It is well documented that overworking frequently leads health proffessionals to low compliance with the rules. On the other hand, the full implementation of practice guidelines presupposes at least one year of education. Other relevant studies demonstrated that bad collaboration and communication between doctors and nurses are the most accountable reasons for the unsuccessfull implementation of practice guidelines. More in detail, nurses and doctors have opposing views on practice guidelines. In particular, doctors, rather than nurses are seemed to be more unwilling to adopt such policies. In support of the above view, there is evidence that the paternalist model of relations between doctors and nurses, the lack of staff or the conflict between personal perceptions of doctors are the most frequently reported barriers for the application of practice guidelines [12,30-35]. Conclusively, the reports that practice guidelines are rarely applied due to deficient knowledge highlight the need of support by National organisations9 and bad collaboration between doctors and nurses indicates the need for written policies in order to be achieved successfull team-working [36-39]. What raises furher research is that, although the nursing management is aware of these problems, they hardly take the necessary steps to face with them. This means that the nursing managers are either not able or unwilling to introduce changes to limit such behaviours and encourage a policy of safe clinical practise. In respect of certain types of responses or intervention to the not application of practise guidelines, such as sentences, praises, discipline it is obvious that they are unnecessary. On the contrary, support, education and good collaboration play an increasingly vital role in the construction and implementation of written or unwritten rules and protocols [24-29]. In the 30,6% of the hospitals, practice guidelines were approved by the Administrative Council, in 26,5% by Scientific Council, in 20,4% by the operating theatre committee and in 10,2% by the Medical Director of Surgical sector. In other countries, such as the USA, the standardisation in operating theatres is controled by a more central institutional frame. It is modulated, determined and approved through uncontradictable prestige organisations. In Greece, the absence of a body capable to provide the theoretical base as well as the practical tools in operating theatre managment is evident. As a consequence, the application of practice guidelines will continue to be a process of doubtful quality [9,10]. Practice guidelines are not available in most Greek operating theatres and as a result their management meets problems, mainly attributed to insufficient education, overworking and weaknesses of nursing administration. Although the nursing administration recognizes these problems, still remains inactive. Matziou V. Application of standards in Perioperative nursing. Perioperative Nursing. 2000;4:4-7. Fairchild SS. Perioperative Nursing Principles and Practice 2nd edit. Little, Brown and Company; USA. 1996. Cox K, Wbitener L, Geden EA. Effects of Policy Manual Reorganization on User Proficiency. JONA 1992;22(9):28-30. Haugh R. Material’s coordinator brings value to ORs. OR Manager 1998;14(3):20-21. Geldner G, Eberhart LH, Trunk S, Dahmen KG, Reissmann T, Weiler T, et al. Efficient OP management. Suggestions for optimisation of organisation and administration as a basis for establishing statutes for operating theatres. Anaesthesist. 2002;51(9):760-767. Papadantonaki A. Basic structure and function of the operating room committee. Noseleutike. 1990;29(132):91-97. Matsumoto M, Kamata S, Naoe H, Mutoh F, Chiba S. Investigation of the actual conditions of hospital nurses working on three rotating shifts: questionnaire results of shift work schedules, feelings of sleep and fatigue, and depression. SeishinShinkeigakuZasshi 1996;98(1):11-26. Atkinson LJ, Fortunato NH. Berry & Kohn’s Operating Room Technique. 8th ed. Mosby, 1996. Weemering ML, Davies BI, Fox NE, Hawkins JA., Sanderson ML, Fogg DM. AORN’S recommended practices. AORN J 1996; 64(5): 810-812. Implementation of clinical practice guidelines toolkit: Nursing Best Practice Guidelines Project. Registered Nurses Association of Ontario J. 2002;(1):5-15. Makowiec-Dabrowska T, Krawczyk-Adamus P, Sprusinska E, Jozwiak ZW. Can nurses be employed in 12-hour shift systems? Int J OccupSafErgon 2000;6(3):393-403. McDonald R., Waring J., Harrison S., Walshe K., Boaden R. Rules and guidelines in clinical practice: a qualitative study in operating theatres of doctors' and nurses' views. QualSaf Health Care. 2005;14(4):290-4. Harrison S, Smith C. Trust and moral motivation: redundant resources in health and social care? Policy & Politics. 2004;32:371–86. Fukuyama F. Trust: the social virtues and the creation of prosperity. New York:Free Press, 1995. Berwick DM. Improvement, trust, and the healthcare workforce. QualSafHealth Care. 2003;12:448–52. Fernsebner B. Building a staffing plan based on OR's needs. OR Manager. 1996;12(7):1, 7-9. Kaviri D. Evidenced Based Nursing. Postgraduate Diplomatic Work. National and Kapodistrian University of Athens. Faculty of Nursing. Athens: 2004;11-12, 75. Greenhalgh T. Is my practice evidence based? In: Greenhalgh T, Donald A. Evidence Based Health Care Workbook. For individual and group learning. BMJ Publishing Group. 2000. Reynolds S. The anatomy of Evidence- Based Practice: Principles and Methods. In: Trinder L, Reynolds S. Evidence – Based Practice. A critical appraisal. Ed. Blackwell Science, 2000. Rabinowitz S, Kushnir T, Ribak J. Preventing Burnout: increasing professional self efficacy in primary care nurses in a Balint Group. AAOHN J.1996 ;44(1):28-32. Reitz TI. Total quality improvement. Hosp Mater Manage Q.1993;15(2):32-37. Sackett DL, Straus SE, Richardson WS, Rosenberg W, Haynes RB. Evidence Based Medicine. How to Practice and Teach EBM. Ed. Pasxalidi. Athens, 2002. Parker D, Lawton R. Judging the use of clinical protocols by fellow professionals. SocSci Med. 2000;51;669–77. 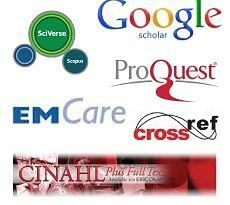 Tuttle D. Quality circles as problem-solving tools in perioperative settings. AORN J. 1996;63(3):625, 628-629. Polyzos N., Yfantopoulos J. Health manpower development and National Health System staffing. Archives of Hellenic Medicine 2000;17(6):627-639. White DK. No health for all without better trained management. World Hosp Health Serv. 1997;33(1):24-27. Takase M, Kershaw E, Burt L. Does Public Image of Nurses Matter? Journal of Professional Nursing. 2002;18(4):196-205. Disch J. The Nursing Shortage is a Symptom. 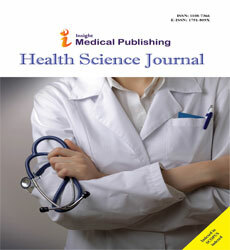 Journal of Professional Nursing. 2002;18(2):62. Bankowski, Z, Mejia A. Health manpower out of balance, conflicts and prospects. Geneva: Council for International. Medical Care.1987; 36(11): 1534-44. Vazirani S, Hays RD, Shapiro MF, Cowan M. Effect of a multidisciplinary intervention on communication and collaboration among physicians and nurses. Am J Crit Care. 2005;14(1):71-7. Puntillo KA, McAdam JL. Communication between physicians and nurses as a target for improving end-of-life care in the intensive care unit: challenges and opportunities for moving forward. Crit Care Med. 2006;34(11 Suppl):S332-40. Coombs M, Ersser SJ. Medical hegemony in decision-making-a barrier to interdisciplinary working in intensive care? J AdvNurs. 2004;46(3):245-52. Sterchi LS. Perceptions That Affect Physician-Nurse Collaboration in the Perioperative Setting AORN J. 2007;86(1):45-57. Sexton JB, Makary MA, Tersigni AR, Pryor D, Hendrich A, Thomas EJ, et al. Teamwork in the operating room: frontline perspectives among hospitals and operating room personnel. Anesthesiology. 2006;105(5):877-84. Xyrichis A, Ream E. Teamwork: a concept analysis. J AdvNurs. 2008;61(2):232-41. Wensing M, van der Weijden T, Grol R. Implementing guidelines and innovations in general practice: which interventions are effective? Br J Gen Pract. 1998;48(427):991-7. Oxman AD, Thomson MA, Davis DA, Haynes RB. No magic bullets: a systematic review of 102 trials ofinterventions to improve professional practice. CMAJ. 1995;153(10):1423-31. Gabel RA, Kulli JC, Lee BS, Spratt DG, Ward DS. Operating Room Management. Translation Lambrou P. Ed. Mediforce, 2001.